'Tis the season of endless holiday parties. Is your wardrobe ready? We know the struggle of searching for the perfect frock all too well, which is why we tend to fall back on our favorite staple item in our closet—the little black dress. (After all, they make a chic yet effortless outfit choice every single time.) Confused about the dress code of the party? Little black dress. Attending a party as a plus-one? Your LBD is there for you. So hurry up and make an investment before the New Year and all of the parties you've got coming up—because whether it's velvet, long-sleeve, mini, or midi, a black dress will always be chic. Keep reading to shop our favorite LBD picks to buy before the clock strikes midnight on NYE. This shape is so flattering for an hourglass fit. We're loving balloon sleeves this season. Transition tie straps from summer to winter! You can't go wrong with velvet for the holiday season. Available in sizes 0 to 1X. Just add a metallic bag for a complete look. Street style stars love this dress. We can see Bella Hadid rocking this frock. Need a dress that you can wear to anything? This universal style will be your go-to for holiday parties. We're picturing this with casual white sneakers for an everyday outfit. Flutter sleeves add such a romantic touch. For the colder season, layer a bright turtleneck under this pick for major style points. 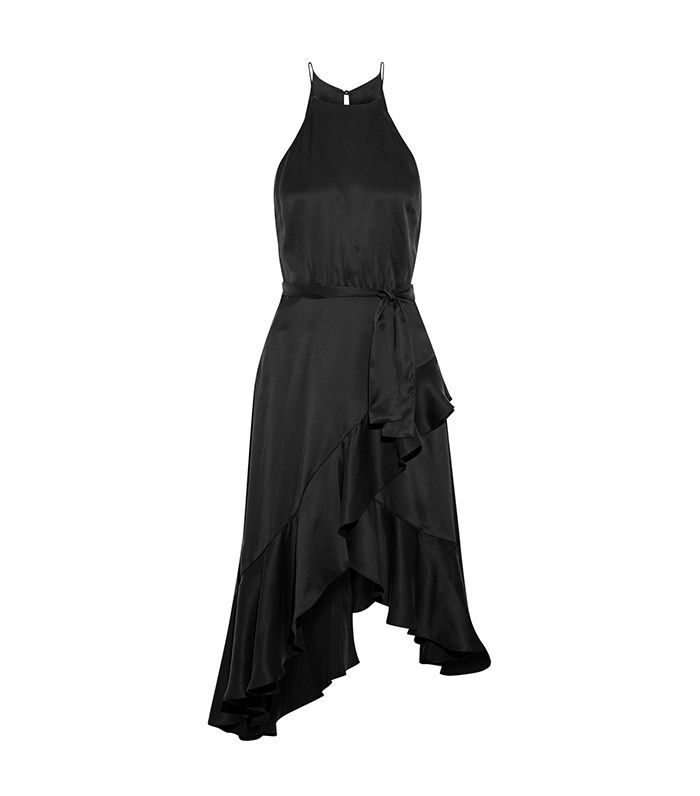 Pair this satin gown with a short faux-fur jacket for a holiday night out. Just add red boots and a fur bag for an on-trend look. This flirty pick would look amazing with kitten heels and a sparkly headpiece. This midi length looks best with strappy heels and festive clutch. The attention to detail on this dress is perfection. Your LBD just got a major upgrade. Up next, shop affordable cold-weather essentials under $100.